LinkedIn's 5,000+ Courses Are Free During the Week of October 24! LinkedIn’s 5,000+ Courses Are Free During the Week of October 24! 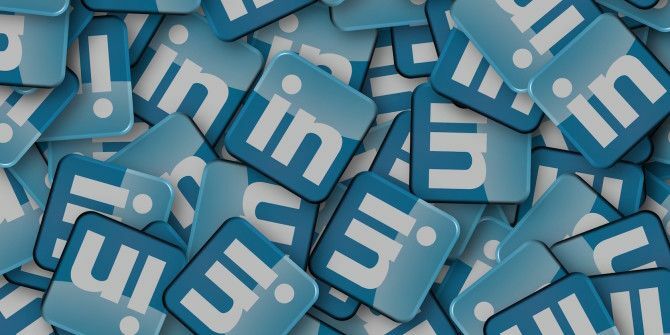 While LinkedIn may be best known for offering its users a vast networking professional networking platform, it also offers a paid learning service. LinkedIn Learning is a paid service with over 5,000 courses meant to improve and hone users’ professional skills. While you can sign up for a free one-month trial, LinkedIn is actually offering users access to all the courses for free for one week without signing up. After that, it will cost you $29.99 a month if you pay by the month or $299.88 if you pay annually. The subscription is also automatically renewed unless you cancel it first. LinkedIn Learning is an online trove of 9,000+ courses on topics related to specific career skills launched in September 2016. LinkedIn says that at least 25 new courses should be added per week. The platform is also meant to make it easier to find the courses that matter to you by presenting you with a list of recommendations based on your existing skill set. If you’ve ever used the online learning site Lynda.com, some of the courses may seem familiar. All the Lynda.com courses are available through the platform since LinkedIn acquired Lynda.com for $1.5 billion Deleting Fake Amazon Reviews, Streaming for Comic-Con Geeks, & More... [Tech News Digest] Deleting Fake Amazon Reviews, Streaming for Comic-Con Geeks, & More... [Tech News Digest] Fake Amazon reviews, streaming movies for Comic-Con geeks, LinkedIn buys Lynda, Call of Duty: Black Ops III, Pacapong combines Pac-Man and Pong, and the Netflix Watch is coming soon. Read More last year. LinkedIn learning also lets you know what skills are trending in your profession, provides quizzes, project files, and offline viewing. By signing up for LinkedIn Learning, you get other Premium features including insights into who is viewing your profile. Lastly, LinkedIn also recently provided a top ten list of skills which it says are most likely to get you hired. These skills relate to fields such as Cloud and Distributed Computing, Statistical Analysis and Data Mining, and Mobile Development, so if you’re thinking of branching out into a new career, this is a good place to start. How Do You Access It For Free? LinkedIn has announced that you will be able to access all LinkedIn Learning courses for free from October 24 to October 30. Just go to LinkedIn Learning during that week and you should have full access to the courses. You can also do some advance research by seeing the courses recommended for you beforehand, watch the previews, and decide which courses you want to take during that week. It’s also worth noting that LinkedIn does also offer a free one month trial if you need more than just one week to decide if the features are worth the monthly fee. If you’ve already signed up for a free trial of LinkedIn’s premium service in the past, however, you won’t be eligible for the free trial. The service is also already available to the premium LinkedIn Job Seeker, Business Plus, and Executive subscribers for free. What do you think of LinkedIn Learning? Is it worth the monthly fee or not? Let us know in the comments. Explore more about: Freebies, LinkedIn, Online Courses.